Owasippe WEBELOS Camp, located on the shores of beautiful Lake Wolverine, is the new setting for this completely updated adventure. Each day will bring an exciting new opportunity for Scouting fun. The topography of the camp is that of gently rolling hills with trails that make all the facilities a fairly easy walk from your campsite. The site itself, has washroom facilities we refer to as KYBOs; it has a shower with hot water as well as flush toilets and wash stand. We provide screened tents with cots, or you can bring your own tent. WEBELOS will begin their stay with a quick medical review to be sure we are aware of any special requirements the Scout may have. Then it's off to the swimming pool where their swimming skills are evaluated. After a delicious dinner under the "Big Top" all are invited to a great campfire filled with fun and entertainment. 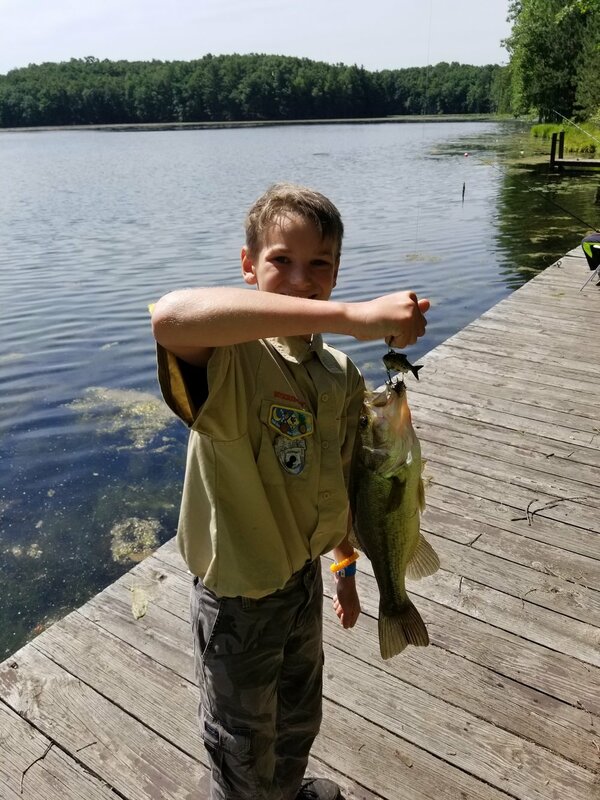 During their stay, WEBELOS will have a chance to shoot Archery and BB guns, fish and may even go in a row boat on Lake Wolverine. The camp's large swimming pool is always a refreshing change of pace on a warm summer afternoon where Scouts will be able to practice swimming skills with a trained instructor as well as enjoy aquatic fun. At Camp Wolverine, WEBELOS will get a taste of the fun that awaits them when they transition into Boy Scouts. From corner to corner on Owasippe Scout Reservation's 5000 acres, there is a new adventure to found each summer. SPECIAL NOTE: Your stay at Owasippe will be a memorable experience. While you are camped with your son, your spouse & other family members can enjoy all of the wonders Owasippe has to offer with a stay at Reneker Family Camp. Click here to find out more about Reneker Family Camp.